Get ready for the most beautiful story you’ll hear all day. For years, Paul Montgomery was Christian Bale’s biggest fan, eagerly anticipating each of the actor’s films. When Paul passed away last week, his family set out to honor his dying wish, and now, thanks to their efforts, the Dark Knight star is making that wish come true by allowing Paul to be buried inside of him. Truly inspiring. A lot of celebrities say they care about their fans, but Bale definitely showed that he’s willing to go the extra mile! In a private ceremony on Sunday attended by close friends and family, doctors opened up the 41-year-old actor and laid Paul to rest inside his chest cavity. Relatives paid their respects one last time as Paul’s body parts were carefully arranged in the unused space around Bale’s internal organs, and Paul’s brother read one of Paul’s favorite poems while Bale’s chest was stitched back up. Paul’s sister, Bethany, was clearly moved by the actor’s kindness. Wow. 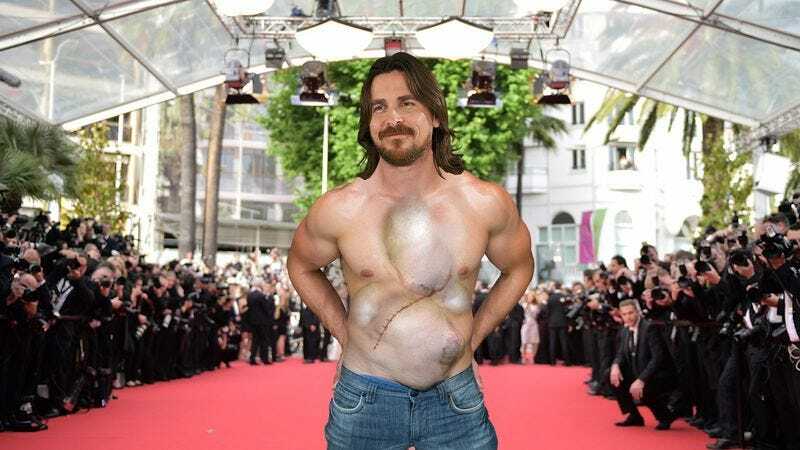 Kudos to Christian Bale for proving that even in Hollywood, it’s still possible to be a person first and an actor second.